So, you have a smartphone and wireless and data plan, but you don't want to completely cut the cord on regular phone service. What's a geek to do? Magic Jack Plus? Net Talk Duo? Skype In? Nope, its gotta be Ooma. Its regular land line phone service made relevant. This analog wonderland begins with the box. 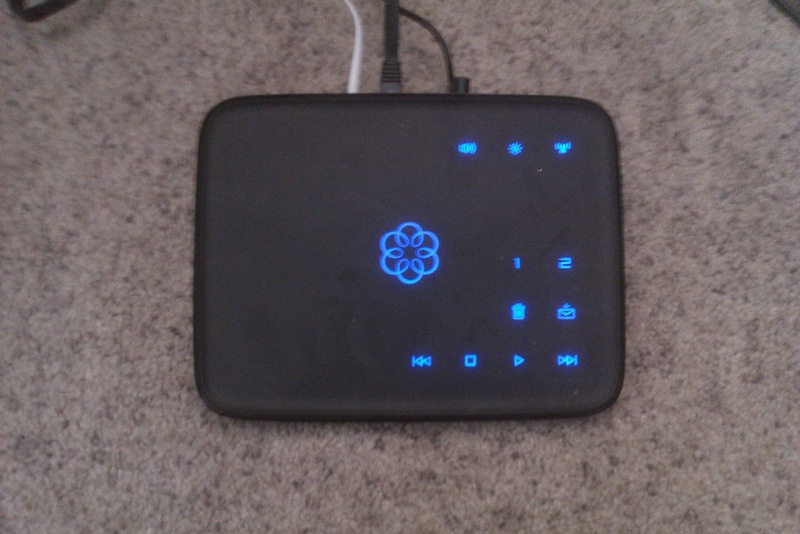 This is the Ooma Telo. Simply plug this into a free port on your router or switch and follow the instructions to register Ooma. You can then log in to Ooma, where you will see this beautiful login screen. Once you log in, you will then see your Dash Board. Where you can see quickly, who has called, and where you can listen to voice mail messages. When you switch to preferences you can then see more of the Awesomeness that is Ooma. Forwarding of voice mail mp3 files to multiple email addresses. Message notification to multiple email addresses. The complete list of Premiere Features is here. Then there are the options such as a WiFi adapter, Bluetooth adapter for syncing with your cell phone, a Handset that gives you advanced control over the Ooma Telo, International calling options, and they keep adding more. 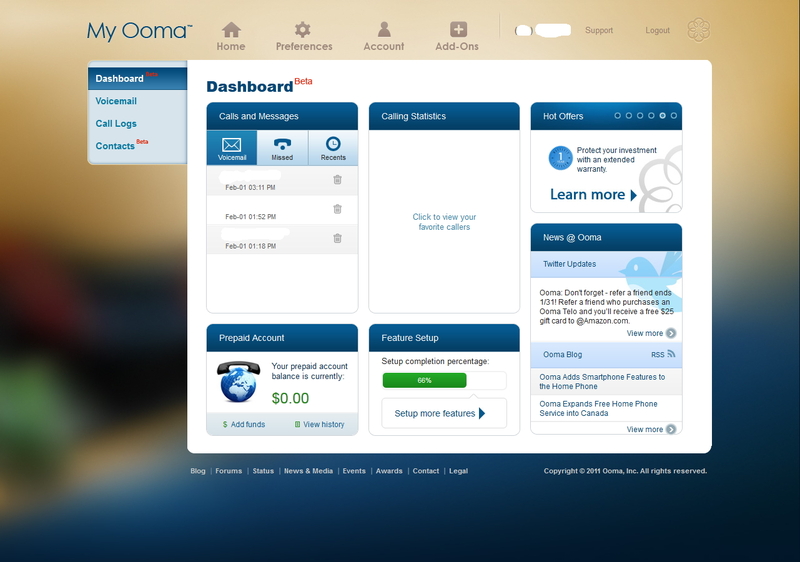 Probably the best part of Ooma is that they continually improve their service. It is still developing and still gaining steam. 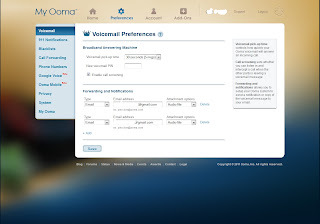 Plain old telephone service was stale and dying, but then Ooma made it relevant. OK, I can feel it, how much for this wonder box they call the Ooma Telo? Right? THE COST: From Costco in the store, The Ooma Telo is $179 plus tax. It is also available on Amazon and Walmart for about $229 You will have to decide if you want the Premium Service for $10 per month and then there are the Taxes at about $3.50 per month. Remember, those Taxes apply no matter who your VOIP Phone provider is. Even if it is Magic Jack or Net Talk. Is Ooma perfect? Nope. Is it better than any other traditional service? Yes, by miles. Caveat:While Ooma is truly a great product, I am not saying that I would ditch Skype for Ooma. 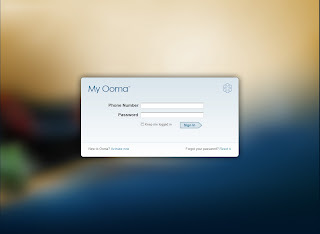 I love Skype and still use their service, but with Ooma's options and features I can integrate Skype into Ooma without too much work. Wanna Save Power? Feed Your PC Granola! Windows power management has come a long way since Windows 95. With CPU's and components consuming power at ever increasing rates with the increase in computational power, Manufacturers have been adding more power management techniques and technologies to their components to try to limit power consumption. Most just rely on the power management software built-in to their Operation system. That said more recently with the rise in energy costs, OS's like Windows and OS X and Linux have greatly improved their built in power management software, but more can be done. Enter Granola. Granola is a power management software company. They replace the built in OS power management software with theirs. It is more efficient and scales performance better. If fact they claim you won't ever notice its running. I run it, and I don't. The screenshot above is from my computer. 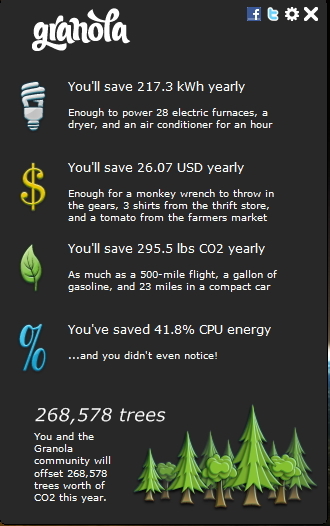 I am saving 41% CPU energy and I never notice. Also, it looks like I am saving 2 dollars per month just by running a piece of software. While the environmental impact is awesome, its impact on my PG&E bill is where I value it most. If I multiply this by the number of machines running in my house, the saving become significant. Now as I have tested this on multiple systems, the newer the hardware, the less you will save by running this software. On newer systems CPU energy savings hover between 1-5%. Even then, the software is so light an unobtrusive, I would run it anyway. Now imagine if large corporations with thousands of systems and servers ran this software. The savings would be substantial. Alas, those souls will have to pay for licenses. Home use, however, is free and has already saved me enough money to buy a Starbucks and/or multiple mp3's. Not bad for 30 seconds work. Get it here. So I couldn't figure why my Truck kept loosing coolant. Well, after pulling the heads off I found out. A cracked head which caused a blown head gasket made the inside of my motor smell like death. 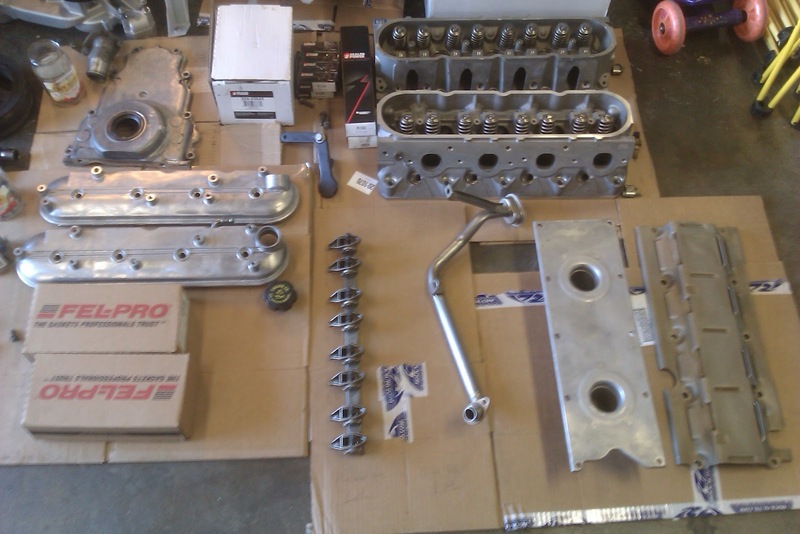 So, a "top-end" re-build (Means we are leaving the crankshaft, rods and pistons a.k.a. the "bottom-end" alone) was in order. 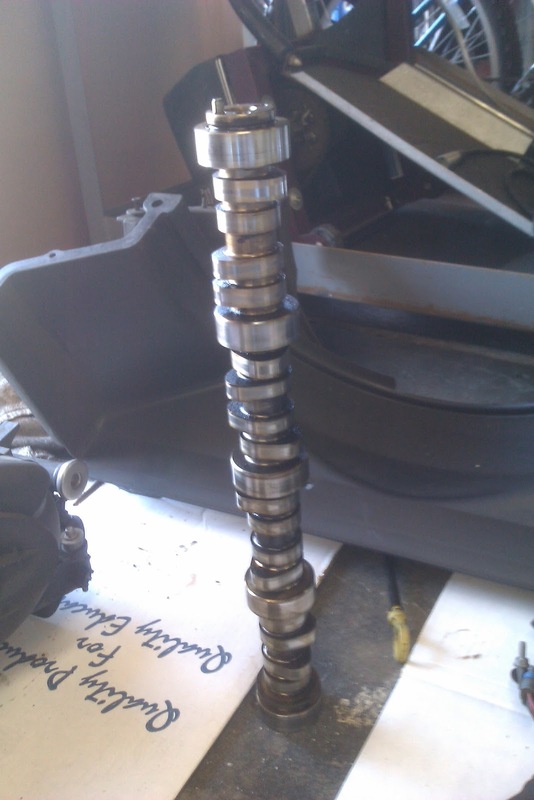 There was water damage on the camshaft so it was in need of machining, but the cost of that was roughly equal to the cost of a better cam. Needless to say I bought a new cam and picked up about 30 horsepower. I see a lamp in your future. Newer late model roller camshafts are gun drilled. That is, they are hollow in the middle to reduce weight, but they are still VERY heavy. When I took the above picture, an idea echoed in my head. LAMP! 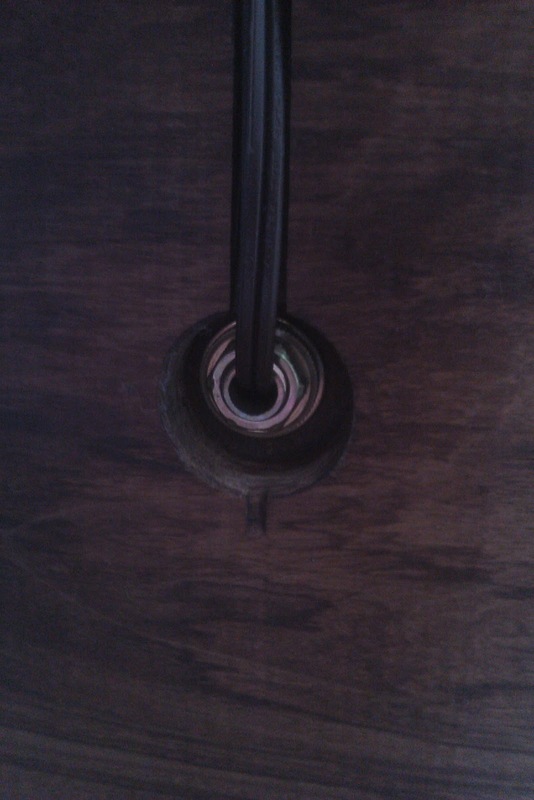 Its hollow in the middle so a lamp kit would be easy to mount. I just need to find a base for the lamp; A very heavy base. So I went to our local exotic wood showroom Southern Lumber. I had them cut a 2 inch thick by 7 inch square piece of Pau Ferro. Pau Ferro is a tone wood sometimes called Bolivian Rosewood. It is often used for fret boards on guitars and in the making of other musical instruments. 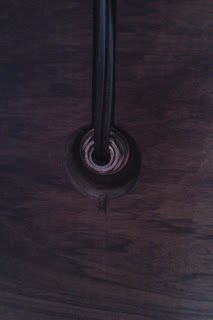 As dense hardwoods go, it is cheaper than other woods like Ebony but is just as beautiful and durable. Most importantly though it is heavy, really heavy. This is very important to ensure that the lamp is stable and not top heavy. I paid about $40 for my piece, but you can order it here online from Rockler Woodworking for about $23 plus tax and shipping. 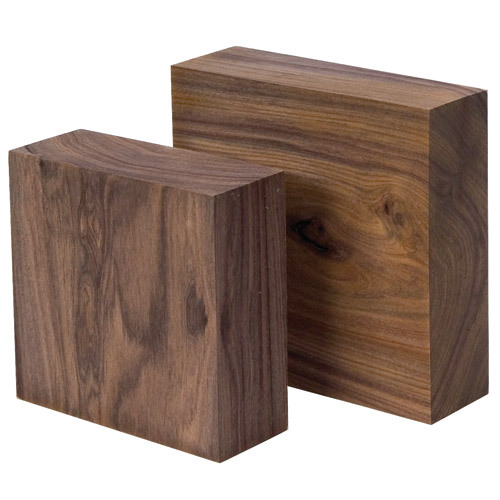 Pau Ferro Blocks from Rockler Woodworking. Awesome. 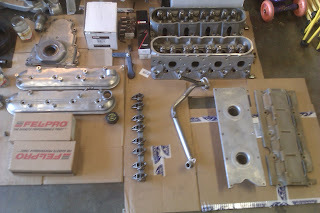 Camshaft cleaned and test fitted on the block. The wet spots on the cardboard are Teak oil. I used Teak oil because it penetrates dense woods better and leaves a beautiful dark tone. 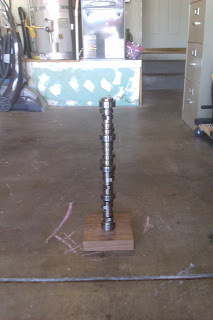 The total cost for the lamp since I had a camshaft already was about $60, but you might be able to do it for $50. The key is already having the Camshaft. A new cam costs $200, a used one costs $60. That could make the total cost between $110 and $250 for the lamp. 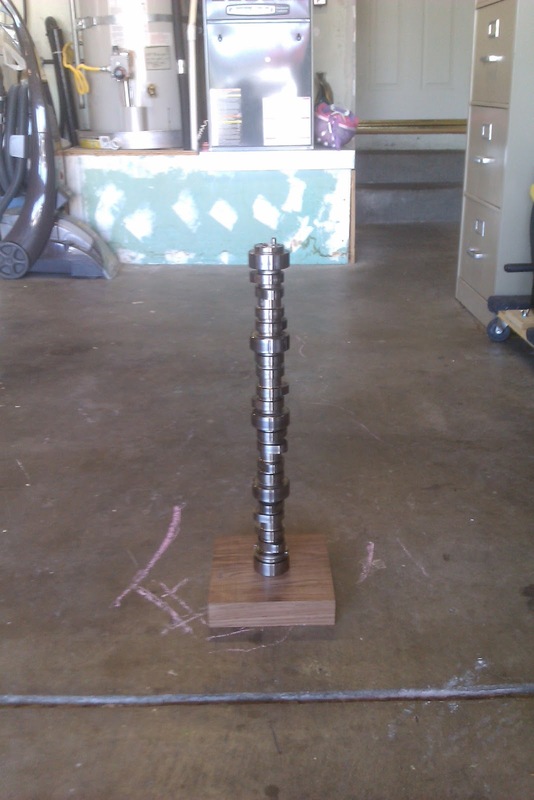 For me, the best part about this project is that this camshaft came from the Truck that sits in My driveway. The truck runs great, and the camshaft could be re-used at anytime. 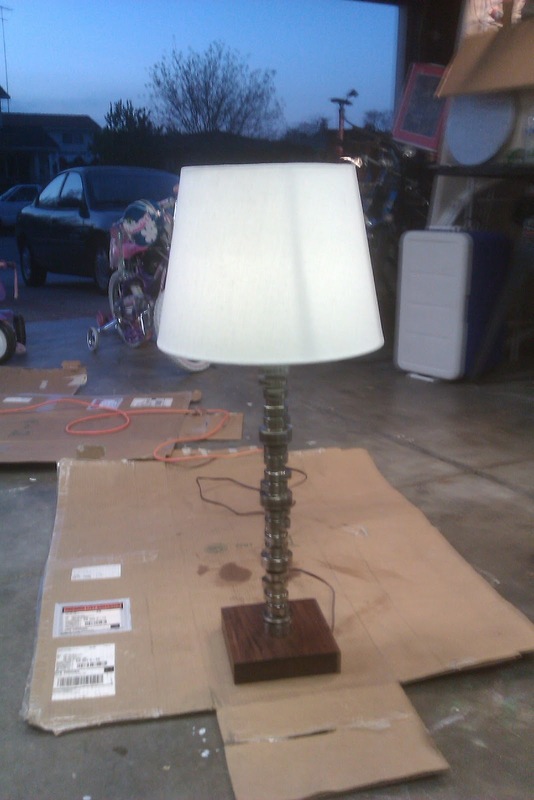 No car parts were harmed in the making of this lamp. So, you've discovered RSS feeds. RSS which is short for Really Simple Syndication, is an easy way to grab the news on the web and read it without opening a web browser. Widgets, Gadgets and other small programs known as RSS Readers allow you scroll through news that is important to you in a very short period of time. There is just one problem. You have to subscribe to each feed separately. If you have to reload your program or RSS reader, you are stuck having to remember all the places you subscribed to. There is a better way. One web page that will load all of your RSS feeds on to one Web Page and display the headlines from all of them. It will save your settings with a simple login. What is this nirvana? www.dailyrotation.com. Default view. You can always add more feeds. Yep, this is a shameless plug for a website that has saved me time and connected me to more tech news than I can handle. 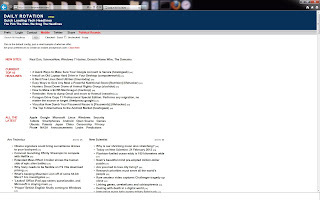 Above is a screen shot of the basic configuration. A word of warning: This website will make you the most annoying person to talk to or share news with, so be polite. When someone asks you if you heard about some New Awesome Titanium Alloy Super Phone or a Fragger Surprise Video Card, just smile and let them finish. Because we both know....of course you have heard about that! For those of us who figured out early on that the best use of a Media Center PC is to hook it up to your big screen TV, we have faced one nagging problem: A good Media Center Keyboard. I and my children have broken and/or worn out more Media Center keyboards than remotes, and we use the remotes more often. 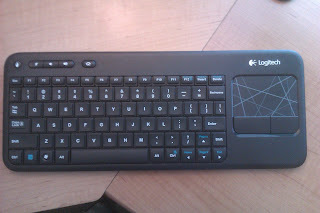 Oddly enough, the death of the Logitech Revue has in a way saved my Windows Media Center PC experience. Computers connected your big screen TV re-invented what your large HDTV is used for. When the Logitech Revue arrived powered by Android, everyone in the tech-world had high hopes for Google TV. I was no different. I was excited to see Android powering the next media center TV. What we got however, was a letdown to say the least. The version of Android that came with the Logitech Revue was crippled and did not even include the much loved Android Market. Not to mention the price. At about $300 for everything, it was too expensive and too limited. Although Google TV is still alive( and the Revue has been updated to Android 3.1) , production of the Revue is not. The upshot: the keyboard. The Revue has the best multimedia keyboard to date and it can still be purchased at Amazon for about $45. It is not a native Windows keyboard so there is no right click button and the driver support is sketchy on Windows. The K400 looks very similar to the Revue keyboard. There is hope! Enter the K400. Logitech released the K400 after the demise of Revue and every batch sells out on Amazon. It also costs about $40. It has native Right Click, supports Windows, has F-keys, an off switch to save battery and a brilliant touch-pad. It does not have the awesome arrow keys or the full screen button, but it does add a left click button in the upper left hand corner. Is it perfect? No. It is however better and simpler than anything else out there. 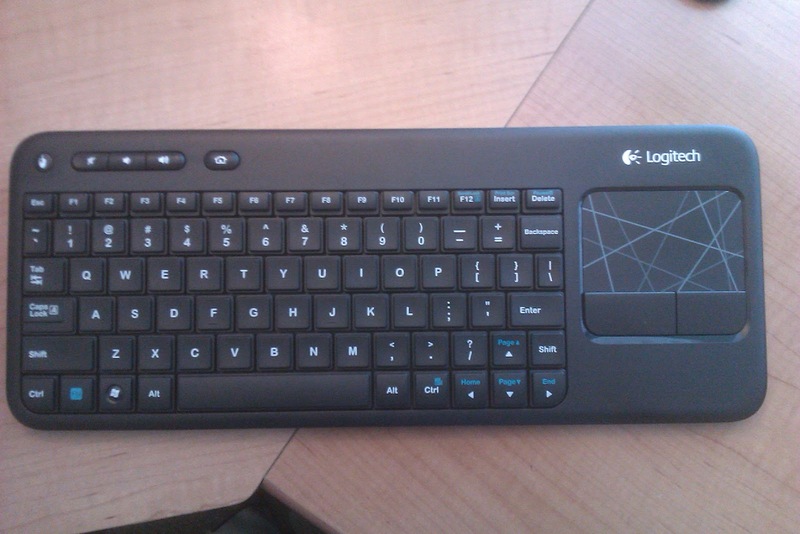 At just $40 for the keyboard and Logitech driver support you really can't go wrong. I'll have a long-term review later to see if it survives my kids. Two wishes: A built-in universal remote Harmony style, and back-lit keys. Does this mean the revival of the Media Center? With Windows 8 on the horizon we will have to see.